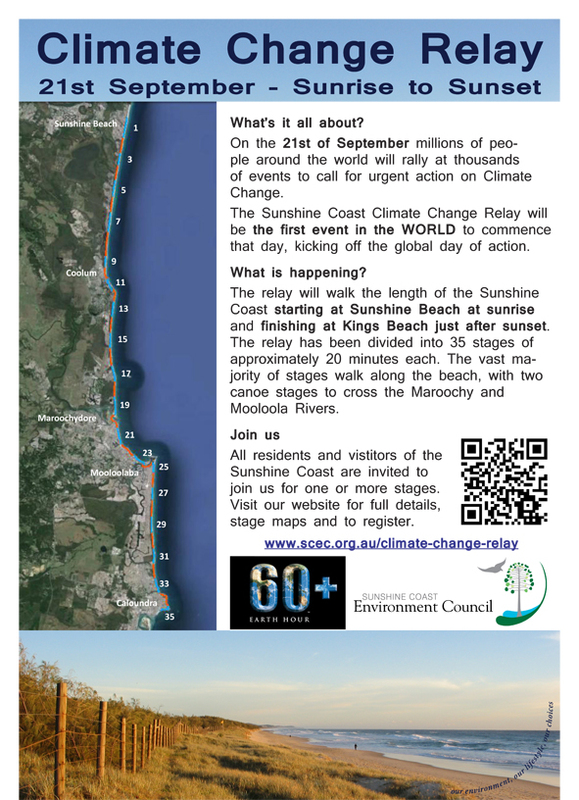 We've just finished the poster for the climate change relay and we need your help to get the poster out into the region. 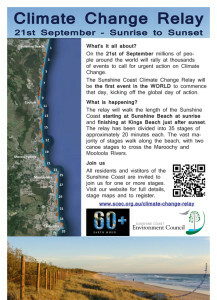 We are particularly keen to get a copy of the poster at as many beach access points as we can. If you live near one or regularly go down to the beach please download the poster, print off a copy (A3 or A4), laminate it and put it up at the access point. Or if you work at a school, visit a library or live next to a neighbourhood centre or are somehow connected to another location where you think a poster would be useful please download one and put it up. The eyes of the world will be upon us on Sunday the 21st of September so let's make sure we turn out in force to show the world what the coast is all about.